I was pleased to report on our World's Best Workforce requirements, and related that our academic results last year in reading, math, and science were excellent. We are very pleased that the board made the commitment to hire a full time Media Center Specialist, Sra. Lisa Yepes. She will bring her many years of experience in immersion settings and the media center to ISLA and will help to foster literacy and media/technology skills as they relate to national media standards. ISLA has taken the next step in developing critical thinking skills with the inception of a class called “Exploracion”, which students will have just over once a week in the Art/Makerspace room. Students will work on a specific project centered around their interests using the Design Thinking Process. These explorations will be connected to their units of inquiry; students will be able to explore ideas using a Makerspace environment, coding and intro robotics, as well as an outdoor learning space, all while working at their own pace to discover where their interests take them. We are also pleased with the additional technology purchases for this school year, which allows us to have completed our one to one commitment for Chromebooks from grades 3-6; in addition, we now have touch screen options for students in Kindergarten, First grade, and Second grade. 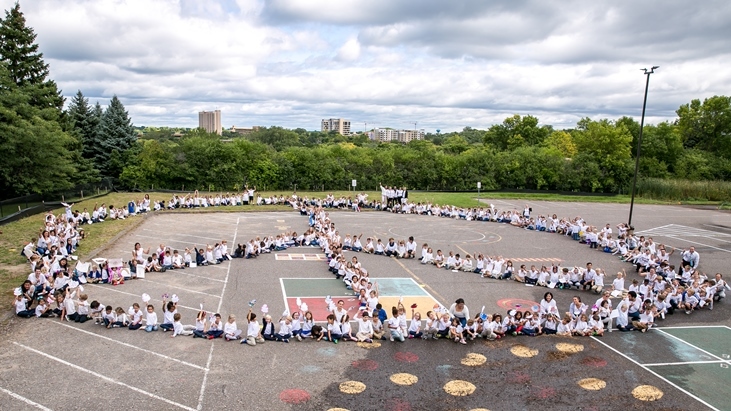 Our celebration for the International Day of Peace was an overwhelming success, and I would like to thank all of the families who helped promote our mission, and participated by making the peace doves and reflecting on the meaning of peace in our homes, our schools, in Minnesota, and around the world. Around the school, this helped classrooms continue the dialogue of equality, respect, mutual understanding,and empathy. Within each unit of inquiry, students and teachers found curricular connections in language arts,geography, social sciences--and even mathematics--while they conducted research and compiled data. We finished the week by gathering for the group photo on the playground, and the entire student body sang a peace song which they had prepared. Thank you again for all of your support as we pursue this mission. ‍MinecraftEDU– Mondays for grades 1 and 2. This is your opportunity to get in on the ground floor of this amazing activity. MinecraftEDU is a specialized version of Minecraft for educational environments that incorporates IB principles. ‍Taller de Juegos Tradicionales – Traditional Games Workshop – Tuesdays for grades 2-6. In this workshop, kids will have the opportunity to get to know and enjoy playing a variety of traditional games from Spain and Latin America. We will build the games with all recycled materials brought from home and school. Students will understand how materials gain a second life when re-purposed. ‍Chess Club – Twin Cities Chess Club – Monday Mornings for grades K-6. We had so much interest in our Thursday afternoon chess club that we decided to offer another session. This one will be on Monday mornings before school (8-9 am). We will have the same great instructor as the Thursday afternoon activity. To register for these activities, click here. Please take a moment to add your family contact information to the ISLA School Directory. You will only be added if you fill out the quick survey. This is the only resource that families have to contact classmates for play dates, birthday parties and carpooling. The deadline for submission is Friday,October 6th. 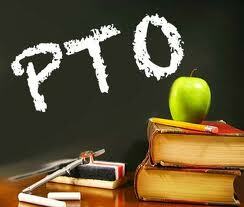 Join us Tuesday, October 2 at 6:30 PM in the ISLA library to learn about the PTO initiatives this year. 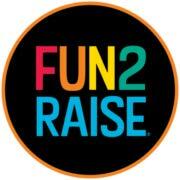 Information on our LAs, social events, and fundraising opportunities will be shared. There will also be an administrative update by Director Perrin. This is a great opportunity to get to know what’s going on at the school, provide your input and actively participate in your school community! Parents, grandparents and teachers are all invited! Signing up for the lunch substitute list is a great way to help out on an ad hoc or last minute basis. (There is no commitment to signing up for the sub list. )Sign-up on Sub list on 9/1 time slot to be added to the sub email list. It's that time of year when it seems germs are more prevalent, and "stuff" is getting passed between students in school. To help kids remember to wash their hands, cover their cough, & how to prevent the spread of germs; we have reviewed Hand-washing and disease prevention practices with each classroom. Parents can reinforce these practices at home in the effort to keep everyone healthy this school year. Good hand-washing practices are so important; hand-washing is the single, most-effective way to keep ourselves healthy and prevent the spread of disease to others. To assist the school staff in preventing disease outbreaks, please be specific when reporting a child's absence. When calling in, please include a description of the symptoms (fever, vomiting, diarrhea, rash, eye drainage, etc.). If your child has been diagnosed by a health care provider with an illness, please indicate that also (pink eye, strep throat, ringworm, head lice, influenza,etc.). Our office needs to track communicable diseases to observe trends and to hopefully prevent any outbreaks. We also need to alert other families with children in the same classroom if any child is diagnosed with a communicable disease. ‍Fever over 100° F. Child's temperature should be less than 100°F for a full 24 hours (without the use of fever-reducing medication) before they return to school. ‍Vomiting or diarrhea. Child should remain at home for a full 24 hours after the last episode of vomiting or diarrhea before they return to school. ‍Red eyes, drainage, or crustiness. If pink eye is suspected, see a health care provider to determine if antibiotic drops are needed. If provider makes a pink eye diagnosis and prescribes drops, student should stay home for 24 hours after drops are started. Instruct child to not touch eyes/face and to wash hands frequently. ‍Strep throat. If a diagnosis of strep throat is made, child should take the prescribed antibiotics for a full 24 hours before returning to school. ‍Head lice. Child will need to be treated with OTC shampoo and hair combed through with a nit comb (or be seen by lice treatment specialist) before returning to school. Please continue lice prevention practices (daily combing for nit removal, wearing long hair up, no sharing personal items, reduce close personal contact, etc.) at home and school. 10/15-16- ISLA students will attend school. This is different from the Hopkins district. Our Directory is the most vital tool of the year for our families and you have a chance to be a part of it! Our directory is an important part of our school year, connecting each of our families, kids and staff to each other. In an era of digital, it is important to have school contacts and information at your fingertips and by giving you, your own printed all school directory, we feel you will be able to engage and connect quickly to those you and your family need and want. Our exclusive directory will present local businesses with a great advantage throughout the year. Because you are an ISLA family, we will give you priority ad placement. If you have a business or work for a company that would like to be a part of helping our school fund many of our current and future programs throughout the year, then this is the place for your marketing message. Placement is on a first come first serve basis and spaces go quickly. If you or anyone you know would like to place an ad in the ISLA 2018/2019 directory that will be distributed complimentary to every family and teacher in our school, please email Jodi Rankin at jodi@fun2raise.com or you may reach her directly at 952-641-7100 x 101. She will make sure that you choose a message that will generate business for you and money for our school. We look forward to providing our school with the highest level of tools and communication, so that you and your family can stay connected all school year long.